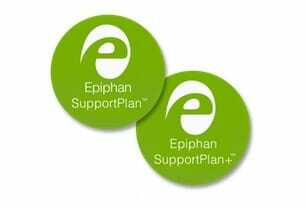 Epiphan products include one-year warranty and complimentary phone support. But now you can purchase VGADVI Broadcaster SupportPlans including 3yr technical support, advanced replacement and more. Because Epiphan designs and engineers our hardware and software, our products are integrated systems. VGADVI Broadcaster SupportPlans give you peace of mind that you'll have access to our expert support and service for years to come.